The lovely Abi, over on Hippy Shopper reminded us all today that our apple season has begun! I’ve been enjoying discovery apples (or pink apples, as Little Miss Green calls them) for the past two weeks and they are a real taste sensation; a bit sweet, but with a lovely juicy texture. Discovery have to be eaten quickly as they are not keepers. No problem there; we much our way through about 5 apples a day at Chez Green. That should be enough to keep the doctor away! We’re fortunate enough to live within 3 miles of a fabulous orchard. Here we can get some heritage varieties of apple such as James Grieve, George Cave and one of my all time favourites, Ashmead Kernal. There’s nothing like an apple and blackberry pie or crumble to put a smile on your face, but with food prices rising, it’s great to make as much use as possible from seasonal fruits. Buy them when they’re cheap and preserve them for next spring and summer. Some apples will keep for a long time if stored properly, but the earlies won’t. One way to preserve apples is to dry them. Dried apples are difficult to get hold of, and when you can they are usually A LOT of money and drenched in sulphur dioxide, unless organic. 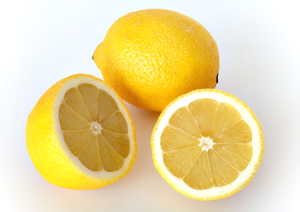 All you need to do is peel, core, dip in lemon juice if the colour bothers you and cut into rings. Then thread the apple rings onto a piece of string and air dry. They will take a few days to dry in this way and will keep for ages in an air tight container. Alternatively get hold of a dehydrator and let modern technology do things for you. You can dry fruit in a low oven too if you’re careful, or an Aga if you’re lucky enough to own one. I’ve dusted them with cinnamon before drying and they were really delicious; especially in the midst of winter. What about you, what are your favourite apple recipes? I’ve been doing loads of ‘Apple Research’ since seeing Jimmy (from Jimmy’s Farm) on the telly visiting all those historic orchards. I think it is a real shame to see orchards sold off and treated like brownfield sites and bulldozed for housing projects. I recently left a note at my local allotment to ask for permission to test the varieties apple trees found on the allotment (South Devon). This has sparked people’s curiousity and now there’s all kinds of apple chat going on. It broke my heart to see one of our local orchards sold off for ‘development’. It really was a piece of our English heritage, but the lure of money was too big (not my assumption, the words of the family who had held the land for years). Yay for you sparking off some apple chat – that’s a wonderful thing you have done. Let me know how things progress. This week I bought Katys and James Grieve; they are gorgeous; even when slightly underripe!